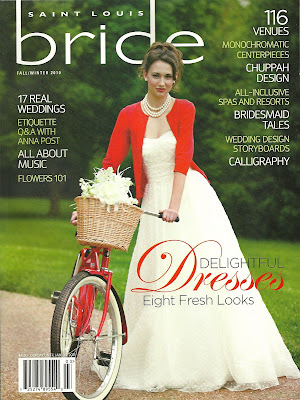 Blog St. Louis Bride Magazine- 2010 Winter Issue! 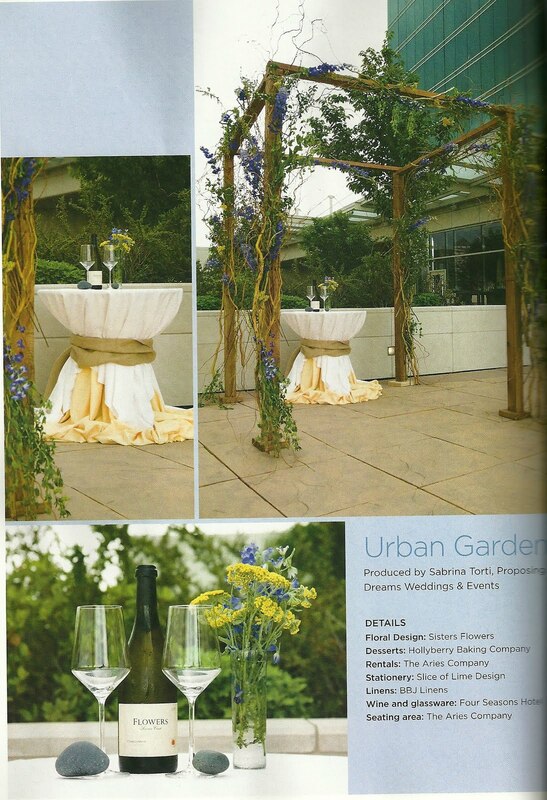 St. Louis Bride Magazine- 2010 Winter Issue! The latest issue is soon to be on newsstands! Pick up a copy and look for your friends at Sisters! 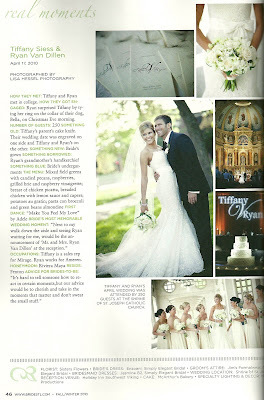 We are featured in the “Real Weddings” section for a wedding we did this past April for Tiffany and Ryan. We were also asked to decorate this “Urban garden” chuppah for a feature story about chuppah styles and designs. 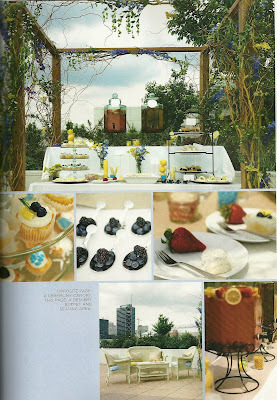 We collaborated with our friend Sabrina at Proposing Dreams for this photo shoot. As always, there are lots of helpful articles and photos in the Fall/Winter issue! Don’t miss it! !